Audience weighs in after viewing new sitcom. 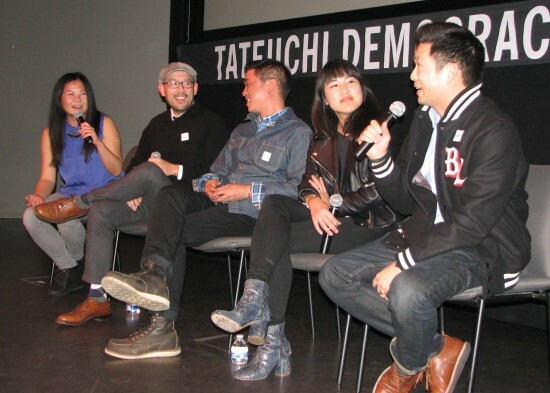 More than 200 people filled JANM’s Tateuchi Democracy Forum to watch the first two episodes. In an effort to promote “Fresh Off the Boat,” ABC showed one episode after “The Middle” and another after “Modern Family.” About 100 more people were unable to get in, but some were able to watch the show down the street at Far Bar. Based on the memoir of the same name by food personality Eddie Huang, “Fresh Off the Boat” takes place in the 1990s, when the Huang family moves from Chinatown in Washington, D.C. to an all-white neighborhood in Orlando, Fla. The show stars Hudson Yang as young Eddie, Randall Park and Constance Yu as his parents, Forrest Wheeler and Ian Chen as his brothers, and Lucille Soong as his grandma. The real-life Huang is the narrator. While his parents struggle to run a restaurant called Cattleman’s Ranch Steakhouse, 11-year-old, hip-hop-loving Eddie has trouble fitting in at school. His white classmates think the Chinese food he brings for lunch is gross, and he tells his mom that he wants to switch to “white people food” — Oscar Meyer Lunchables. After viewing the pilot episode, panelists shared their reactions. Oliver Wang, associate professor of sociology at CSU Long Beach and NPR music critic, commented, “This might sound like damning with faint praise. It was better than I expected it to be. For a pilot, you never expect it to be that good because it’s going to have some issues. I think the racial humor was more biting than I would have expected. I thought the pacing was a bit odd, but again I just chalk it up to being a pilot. 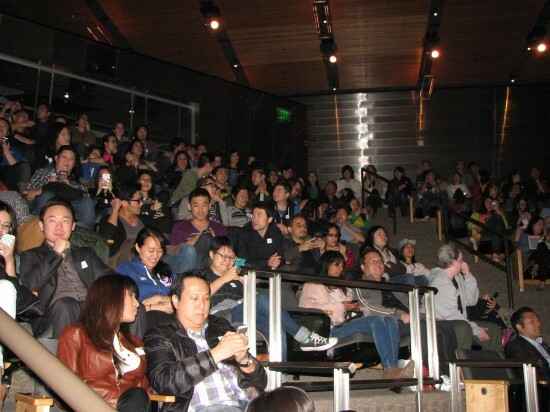 Above and below: There was a full house at JANM’s Tateuchi Democracy Forum for the “Fresh Off the Boat” viewing party. “It’s ridiculous that any one show should bear the burden of having to be that one sole example of Asians in mass media, but it is,” Yu observed. A member of the audience confessed to feeling “rep sweats” when Jeremy Lin made his NBA debut. Much has been made of the fact that “Fresh Off the Boat” is the first network TV sitcom about an Asian American family since Margaret Cho’s “All-American Girl” in the mid-1990s. As for the jokes about white people, “I never got to see Asians tell those jokes, so I’ve got no problem with that whatsoever,” Yu said. A Latino man in the audience said that “Fresh Off the Boat” feels “more genuine” than the way that George Lopez’s sitcom addressed the Latino experience. A Taiwanese American man called the show “a dream come true” because it depicts a family from Taiwan. “Fresh Off the Boat” moves to its regular timeslot, Tuesdays at 8 p.m., on Feb. 10. 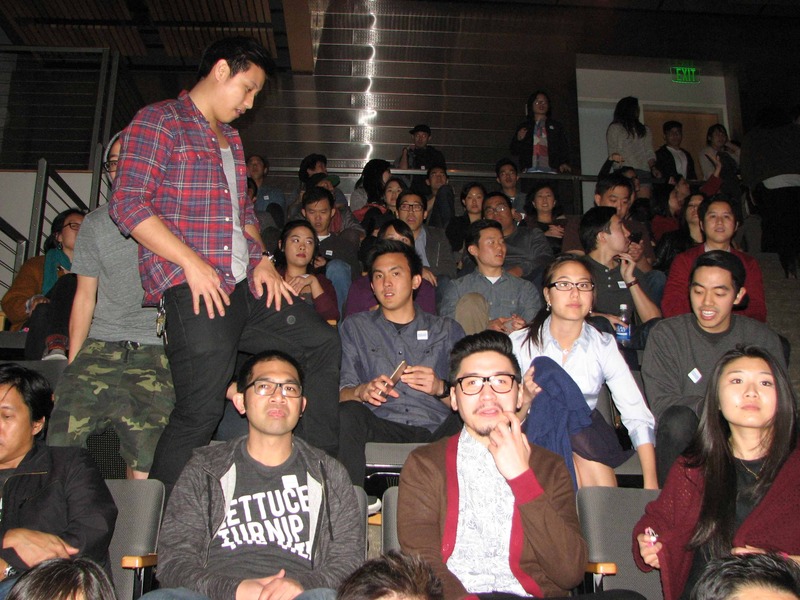 Fox Audience Strategy, in partnership with 8Asians, will host a watch party next Tuesday from 6 to 8 p.m. at 147 Dodd Hall on the UCLA campus. It will feature sneak-peek episodes of “Fresh Off the Boat” and “Cistela” and highlights from the family drama “Empire.” Seating is limited. RSVPs are required. For more information, click here.